Credit: Schmidt Ocean Institute. Download this image (JPG, 532 KB). 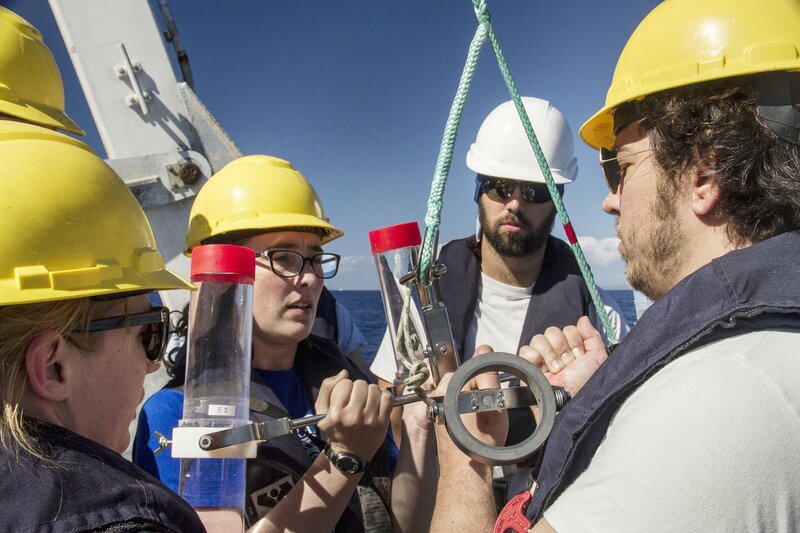 [28-Jan-17] Melissa Omand, Colleen Durkin, Phillipp Guenther and Ben Knorlein make sure that the sediment trap is ready and steady as they prepare to deploy it off the R/V Falkor's aft deck.